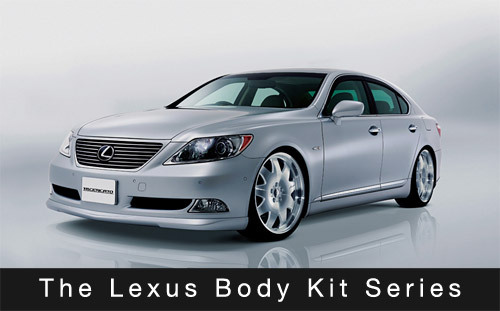 The first vehicle to be featured in my new Body Kit series is the Lexus LS 460/460L/600hL. If anything can be said about the majority of the available body kits for Lexus’ latest flagship model, it would be that they exhibit a very strong subtlety. None of the kits change the vehicle’s look substantially, and for the most part, it would take a highly trained eye to notice much of a difference from the standard look. It adds a certain aggressiveness to the LS, without crossing the line into gaudiness, and brings a more masculine look to the vehicle. If after viewing the body kit list, you notice any omission or mistake, please contact me or leave a comment. paul: i always think, cant they ever make a perfect car, but there is always something not right. this car is PERFECT!